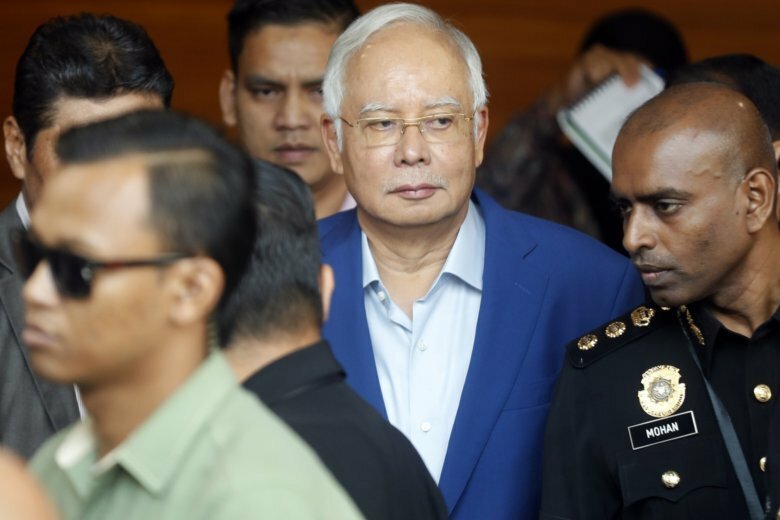 KUALA LUMPUR, Malaysia (AP) — Malaysia’s anti-graft agency said former Prime Minister Najib Razak was arrested on Wednesday and will face further charges of abuse of power over the multimillion-dollar looting of a state investment fund. The agency said in a statement that Najib was detained at its office over the transfer of 2.6 billion ringgit ($627.8 million) into his bank account. It said Najib will be taken to court on Thursday to face several charges under Section 23 of the Malaysian Anti-Corruption Commission Act. It didn’t give details, but the section deals with the abuse of power. Najib was earlier charged with multiple counts of criminal breach of trust, corruption and money laundering over the scandal at the 1MDB state fund, just months after his shocking electoral defeat. He has pleaded not guilty and his trial is due to start next year. The new government reopened investigations stifled under Najib’s rule and barred him and his wife from leaving the country. Police also seized jewelry and hundreds of handbags and other valuables estimated at more than 1.1 billion ringgit ($273 million) from properties linked to Najib. Police have said that investigations have shown that $972 million had been transferred to Najib’s bank account from three companies linked to 1MDB. Najib, 65, has accused Malaysia’s new government under Prime Minister Mahathir Mohamad of seeking political vengeance and vowed to clear his name at his trial. He has claimed the money was a political donation from Saudi Arabia’s royal family.